Full Inventory Counts – How can we help? Full inventory counts are (usually) completed at the end of financial year in order to provide your accountant with an exact value of your inventory. It includes every item in your store, including your storeroom and is generally done outside of your usual trading hours. When should you complete inventory counts? At the end of your financial year. Your accountant may also recommend you do one at your mid-financial-year point. After a really busy period, like Boxing Day or Black Friday sales. 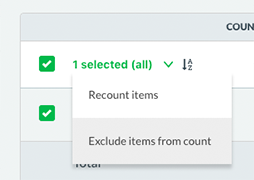 You can also do one at other times, however, full counts are a lot of work as it is best practise to close your store during your full count to ensure you get an accurate representation of your inventory levels. 8. Click the Save & Exit button at the top of the page. Your count will now be scheduled. You can also click Start Count to start counting immediately. Checking your barcode scanners to make sure they are functioning. Turning all labels barcode-side out for easy scanning. Printing new labels for any products missing labels. 1. 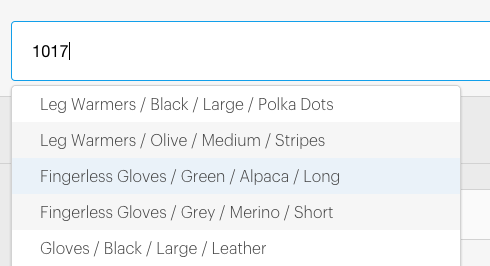 Open the inventory count home page. 2. Find the count you want to start in your Due list. 3. Click the count name. The count settings page will open. You don't need to worry about updating the date and time if it's wrong - we'll update it to today's date. 4. Click Start Count. The inventory count will commence. Click Resume Count at the bottom of the page, and count the items again. Click the Abandon Count button. 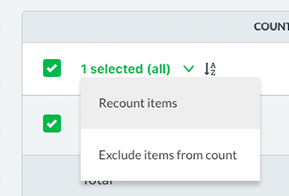 Abandoned counts will appear on the 'Cancelled' tab of the inventory count home page.